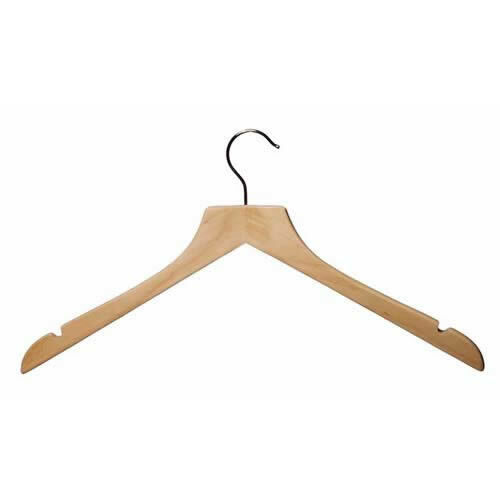 The best quality Wooden Jacket Hangers | Keep your shirt and blouses in good shape. Add Caraselle 5 Wooden Trouser Clamps to your basket? Add 5 Packs of 5 Protective Shoulder Covers for Jackets (25 in total) to your basket? Add Deluxe Solid Beech Shaped Shirt & Tops Hanger 44cms wide to your basket? Our wooden jacket/shirt hangers will last longer than your suits! These will look stylish in your wardrobe and will keep your shirt and blouses in good shape.